We have multiple warehouses across North America. Not all of them stock the same products, so it is possible that you will receive multiple shipments, in case you order more than one product with us. 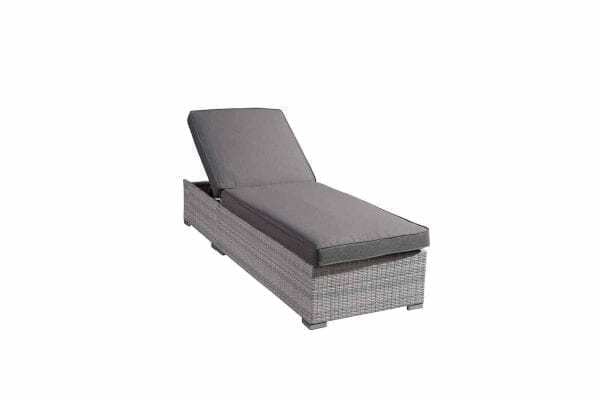 Since our patio furniture products vary considerably in size and weight, individual shipping rates apply. You will be able to see the shipping rate once you are on the checkout page. That page will also give you the applicable sales tax amount, depending on the province, territory or state the product is being shipped to. Please note, shipments to cottage country and rural areas might be subject to a shipping surcharge, which will generally be around $200. The applicability of the surcharge depends on how complicated delivery procedures are, based on the remoteness of the destination. Please ask us about shipping rates and charges for our outdoor furniture to your location. Our large products have to be delivered with freight services, since they are too big for regular couriers. Examples of such products are the Lugano conversation set, Chiasso dining set or the Sogno daybed. The delivery company will call you to schedule the delivery. You will have to be there to receive the item. All the large products are delivered “curb-side”, which in most cases means, to your driveway. The drivers usually do not have any means to bring the furniture into your home or to your backyard. Upgraded services may be available in the checkout process at an added cost. You are responsible to inspect your item(s) upon receipt, before signing off on the delivery. Any possible transportation damage has to be noted on the delivery receipt of the carrier and notified to Velago Patio Furniture within 48 hours of delivery. Products like umbrellas, furniture covers and connector clips generally ship with a small parcel courier company, e.g. UPS. Couriers do not call prior to delivery, but will leave a note in case you are not home. Please follow the instructions on such note, if applicable, so your order can be delivered to you in a timely fashion. Undeliverable items will be returned at the buyer’s cost. Our patio furniture sets are produced for a great outdoor experience on your deck, patio, terrace or lawn. We are confident in the quality of our products and grant a 12-month limited warranty on all patio furniture sets. If for any reason you are not fully happy with the quality of our products, you may return any outdoor furniture set purchased with Velago Patio Furniture within 14 days of delivery. You don’t have to give us a reason; if you have changed your mind, and do not want our product anymore, we will take the patio furniture back and fully refund your payment. We want your shopping experience with us to be absolutely worry-free! Please note, the original packaging is required for all returns. The customer is responsible for the return of the product to the warehouse. Return shipments are subject to a fee. If you have any questions or concerns, or if you have identified a defect with one of our products, please call us right away.